Please post any questions or comments you may have on my blog, or Contact me. I regularly update this site, so please check back often and stay in touch! Many blessings to you all. Erin Smith, MAc, L.Ac. is a Licensed Acupuncturist and board certified Chinese herbalist in Maryland. Erin graduated with highest honors from the School of Classical Chinese Medicine at the National College of Natural Medicine in Portland, Oregon, where she received her Masters of Acupuncture degree. Originally from Maryland, she brings her passion for Chinese medicine and helping others back to practice in her homeland. Erin started classes part-time in May 2017 to finish her Doctorate of Acupuncture degree through the Pacific College of Oriental Medicine. For as long as she can remember, Erin has been interested in studying medicine and helping people from all walks of life to overcome the physical and emotional challenges that lead to endless suffering. She worked as a physical therapy technician for 7 years in Maryland, starting when she was only 15 years old, and is still very passionate about helping people with acute and chronic pain. Erin has also been a nanny since she was very young, and loves helping moms, future moms, and children on their healing journeys with Chinese medicine, as well as anyone else she is privileged to meet. While working on her undergraduate degree in biology at Villa Julie College (now Stevenson University), Erin became interested in Daoist philosophy and Chinese medicine when she started receiving the life changing benefits of acupuncture for herself. Erin also recently started a non-profit organization, that she will continue to develop into an acupuncture and integrative medicine center in the Washington D.C./Baltimore metropolitan area. The mission of this clinic will be to help serve lower income populations and provide acupuncture and other holistic healing modalities at affordable costs. Mindful Medicine, Inc. is our newly formed 501c3 as of fall 2016, which Erin will continue working on to achieve the mission of the non-profit. Please consider supporting our mission with tax deductible donation at our fundraising site, http://bit.ly/2g18MeI. 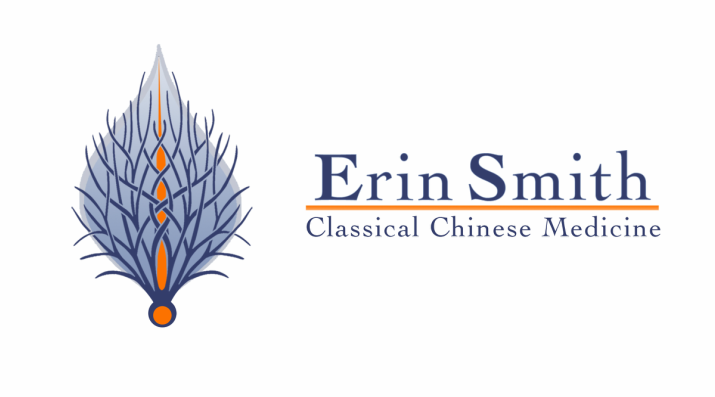 Erin’s primary interests are in the study and practice of classical Chinese acupuncture and herbal medicine, as well as tuina and so tai bodywork, Chinese medical astrology, and various forms of qigong and yoga. She also enjoys spending time with her son, knitting, being in nature, cooking, gardening, and music of all kinds. "I walked through the door the first time, seeking acupuncture as a last resort for relief of primarily my Fibromyalgia. The pain, stiffness, tenderness, headaches and other symptoms were beginning to take over my life, and I wanted my life back. Little did I know that the first day I would meet one of the most caring, considerate and kind people I’ve met in a long time. Her name was Erin. Someone actually cared about me and how I felt. I walked out that first day, feeling like a different person already. Erin continues to care, and now not only the Fibromyalgia is under control, but my overall health and well being is at a place I haven’t been in a long time. I can walk in with a migraine, and walk out headache free. She has helped me with severe pain in my lower back, which I never dreamt would be possible. I can actually now walk through the food store without hanging onto the cart. In fact, I can move quickly through the stores. The list of things that she has helped bring under control is long. I think she must be an angel on earth. "I began acupuncture treatments with little real hope. I had had ongoing pain in my upper back / trapezius area for over 23 years. The injury was sustained when a driver fell asleep at the wheel and hit my car head on. The soft tissue injury caused myself pain on a daily basis. As I got older, the pain increased. I decided to try acupuncture as a last ditch effort before resorting to muscle relaxers. Much to my surprise I felt improvement within 2 visits. Erin Smith was very informative about the process and put me at ease. With the aid of her treatments, my back felt better than it ever had since the accident. I highly recommend working with Erin. She is a skillful practitioner." If you are interested in submitting a testimonial about your experience with Erin, please submit via the Contact Erin page. "Erin is an amazing, talented and caring person. She knew exactly how to alleviate pain from my many orthopedic problems. It is very evident that she has a masters degree in acupuncture. I have had sessions from other acupuncturists and never felt progress in pain relief like I did with Erin. I would HIGHLY recommend her." "I really appreciated Erin's helpful treatments as well as her caring attitude. She made me feel hope as well as a human being, not just a patient with problems. I really looked forward to seeing her for treatment twice a week. The pain (and you know it was everywhere) has subsided and there are hours of no pain!! which I really appreciate. Thank you." "Erin treated me for 6 months during my pregnancy with my second child when I had moderate-severe nausea and chronic foot pain resurfaced from a previous injury. Seeing Erin each week was a step into another mental state and her serene disposition and extraordinary attentiveness yielded much needed relief. The sharp foot pain was dulled to the point of being gone. It was remarkable. My nausea as well was significantly decreased as well which was a welcomed change that greatly increased my quality of life. I am very grateful for having her assist me in what would have been an exceedingly more difficult and uncomfortable pregnancy."